Literacy - This term, Year 4 students are embarking on a farming adventure so the focus of our writing will be on recording our exciting experiences within a non-chronological report. In terms of grammar and vocabulary, we will continue to focus on using rich and varied language. Within our guided reading sessions, the children will also be challenged to infer understanding and meaning from varied texts. 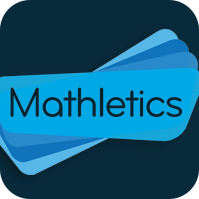 Numeracy - This term, the children will cover a variety of concepts within numeracy including: Decimals, Money, Time, Statistics, Geometry (properties of shape) and Geometry (position and direction). Beat Your Score sheets will also be regularly uploaded to support home learning. Science - Animals and Living Things are the two focus elements of our science learning this term. The children will be working scientifically through practical lessons to gather new knowledge for these concepts. 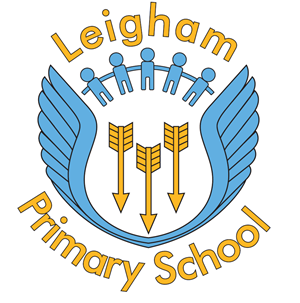 We will also be venturing outside to take full advantage of the school's grounds that we have at Leigham. History - This term, the children will continue to learn about the invasion of the Anglo Saxons and Scots after the Roman occupation. They will learn why, when and how they were able to conquer parts of Britain as well as analysing the character of key figures of the time, for example, King Vortigern. Geography - We will discuss the fair/unfair distribution of resources, economic activity and trade (Fairtrade). Using the local area, we will use fieldwork to observe, measure and record the human and physical features by drawing sketch maps, plans, graphs and using digital technologies. Computing - Multimedia - We will use data loggers, photos, videos and sound to create an atmosphere when presenting to different audiences. We will develop our ability to create, modify and present texts and other documents for a particular purpose. Art - We will learn how to make a clay thumb pot and use modelling tools to help shape, fix and create textures. We will also weave pictures and patterns using natural materials. Design and Technology - Food technology - We will talk about why we need to work safely and hygienically when cooking. We will discuss the characteristics of a range of food and ingredients and learn about the way in which they are grown, reared and processed. Music - This year, the children will learn to play a brass instrument with a professional music teacher, Mr Keats. This will include a lesson every week and the opportunity to take an instrument home for even more practise. R.E. - This term, the R.E. focus will be on 'Religion, Family and the Community' and the focus religions will be Christianity and Islam. P.S.H.E. - Personal, social and health education (PSHE) helps to give children the knowledge, skills and understanding they need to lead confident, healthy and independent lives. It aims to help them understand how they are developing personally and socially, tackling many of the moral, social and cultural issues that are part of growing up. Our P.E. day is on Tuesday (outdoor). Homework is given out on Thursday and is due in on the following Tuesday. Spelling activities will be sent out on a Thursday alongside the weekly homework.